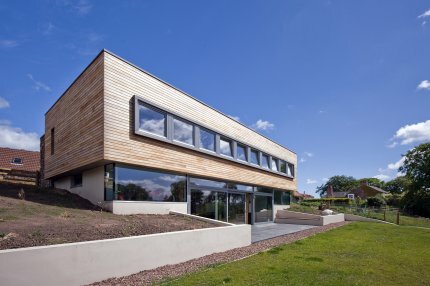 Zero carbon house: Sunnybank, Scottish Borders, completed in 2010. 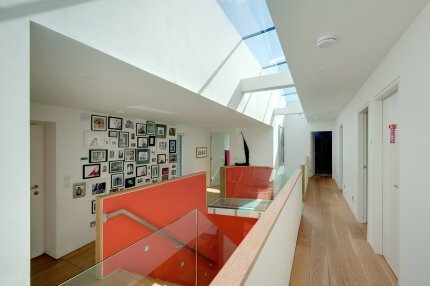 Sunnybank is a new family house designed to meet PassivHaus standards of energy efficiency and achieve as low an environmental impact as possible. The building sits on a south-facing hillside. The plan is regular with minimal surface area for heat loss. All main rooms are south facing to optimize daylight and views over the countryside. 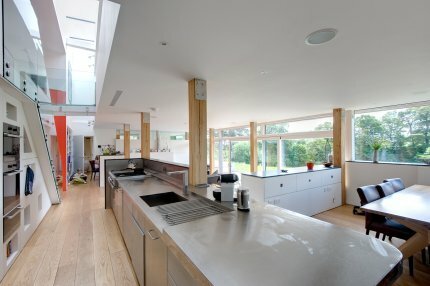 The lower ground floor is the main living space, designed to form a direct relationship with the garden. 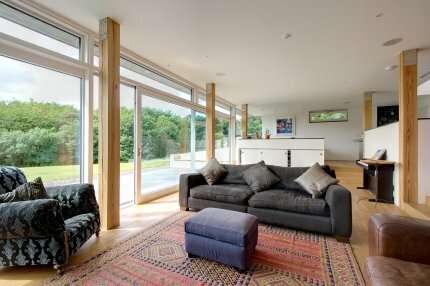 We used the PassivHaus planning package (PHPP) to achieve an optimum balance between thermal insulation and solar gain. The electrical demand is minimised and photovoltaic-thermal micro-generation and mechanical ventilation heat recovery (MVHR) meets the total annual electrical and thermal demand. 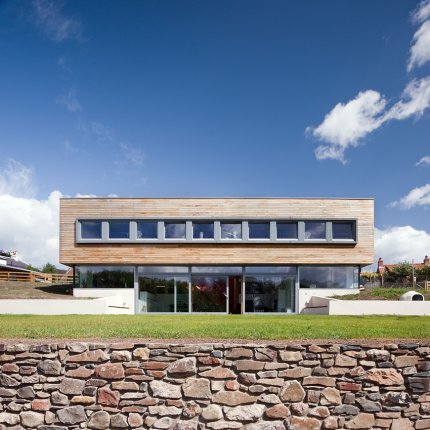 Disciplined construction detail and on site management was essential to achieve the high build quality required to meet the PassivHaus standard.